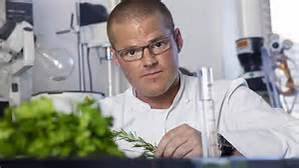 Top chef and food scientist Heston Blumenthal (below) is back in the news again as his restaurant, The Fat Duck has regained its Michelin three star status. The celebrity chef's £225-a-head venue in the little village of Bray in Berkshire and opposite his Michelin star pub The Hind's Head, lost the premium rating last year after Heston moved the restaurant temporarily to Melbourne in Australia. The UK eatery was undergoing a total refit during the year. But at the live unveiling of the 2017 Michelin Guide, Heston was surprised to learn that he had rejoined the elite club of world restaurants. The Fat Duck joins the Roux brothers Waterside Inn, also in Bray, and Restaurant Gordon Ramsay and Alain Ducasse at The Dorchester, both in London, as the UK's only three-star Michelin restaurants. Blumenthal is reported to have said that he was more enthusiastic than ever for his restaurant, which has only 38 covers and at least a six month waiting list for a table. 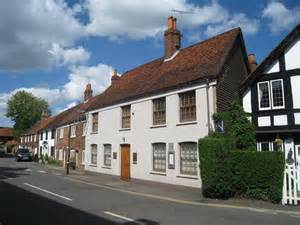 While the Michelin Guide editor, Rebecca Burr has said that inspectors had many meals but found The Fat Duck (below) 'invigorating, rejuvenated and unquestionably worthy of being re-awarded their highest accolade. 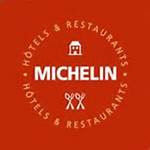 If you cannot manage a table at one of the three star Michelin restaurants, then the UK has 21 two star and 147 one star restaurants around the country.